This is a perfect material for a cat - it feels a bit like felt, so he can get his nails into it. Much better than rubber or plastic. 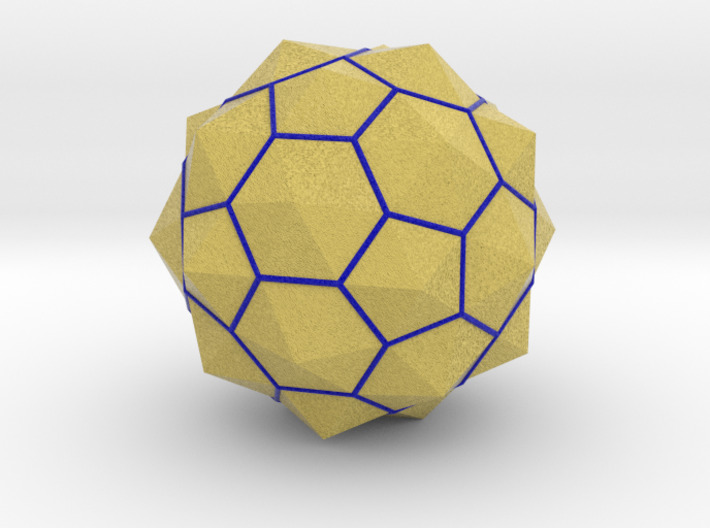 Yellow and Blue Geometric Sphere - Truncated Icosahedron comprising of pentagrams and hexagrams. For colour use default material - "Full Colour Sandstone". Possible uses, apart from purely aesthetic - how about a toy for your cat?